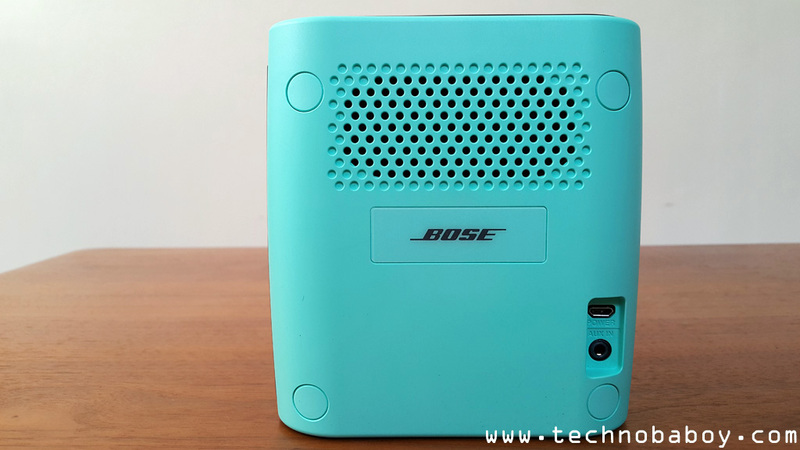 Bose has always been known to be conservative when it comes to their designs. 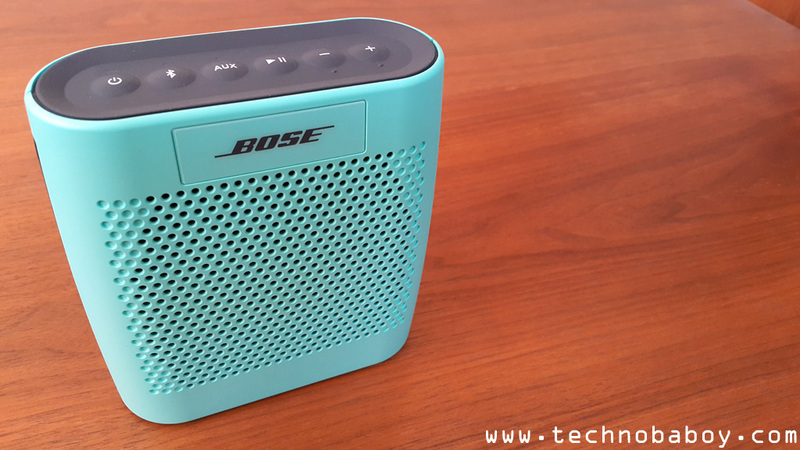 With the SoundLink Color, the company came out of its shell and with a colorful portable Bluetooth speaker that looks to attract both the young and the old. The SoundLink Color is a small portable Bluetooth speaker that measures 5.3” x 5.0” x 2.1” and weighs a 1.25 lbs. As you can see, it is relatively small and portable, but has a bit of heft to it. The square shaped design is accentuated by rounded edges, allowing for better portability when placing inside a bag and improved handling when carrying it around in your hand. Up front you have the speaker grill and the Bose logo. You’ll find the bass port, micro USB power port and the aux-in at the back. 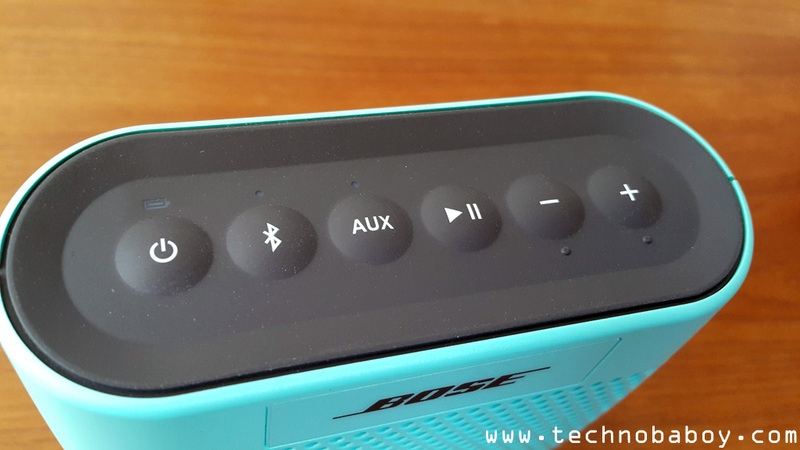 The top has the controls keys which include the power, play/pause and volume buttons, and the Bluetooth and aux-in activation. 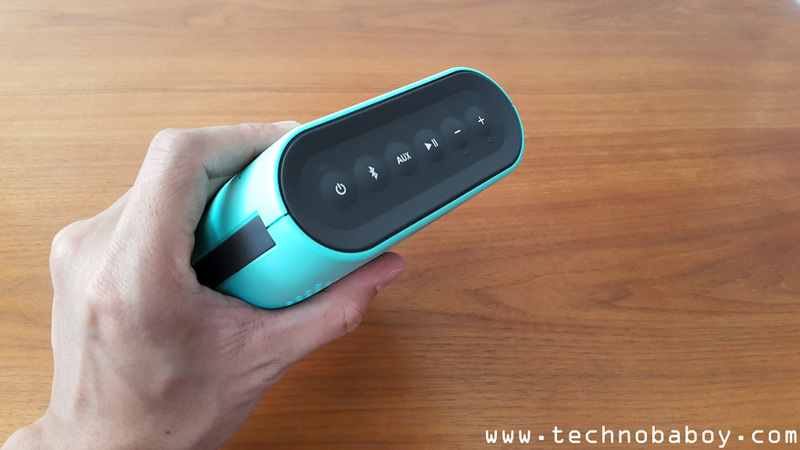 The power, Bluetooth and aux-in have LED notification lights to let you know if its working. Overall, the SoundLink Colour looks great. 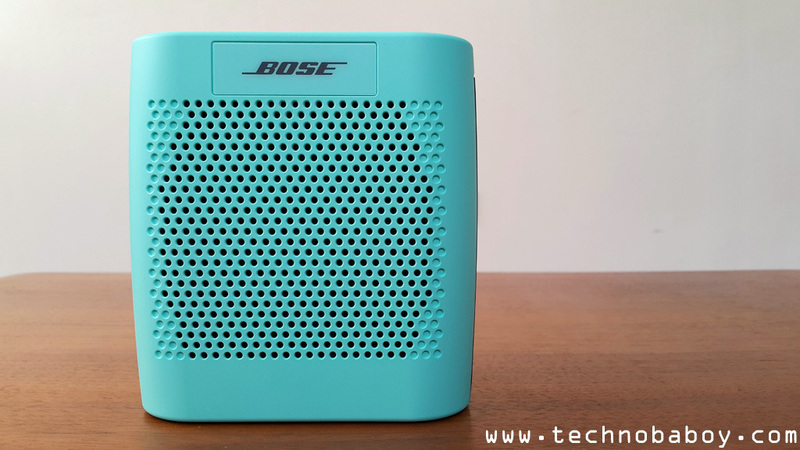 As always, Bose did a great job with the design, providing balance between aesthetics, practicality and portability. The body of the speaker is made of a high quality plastic material. It feels durable and easy to grip. 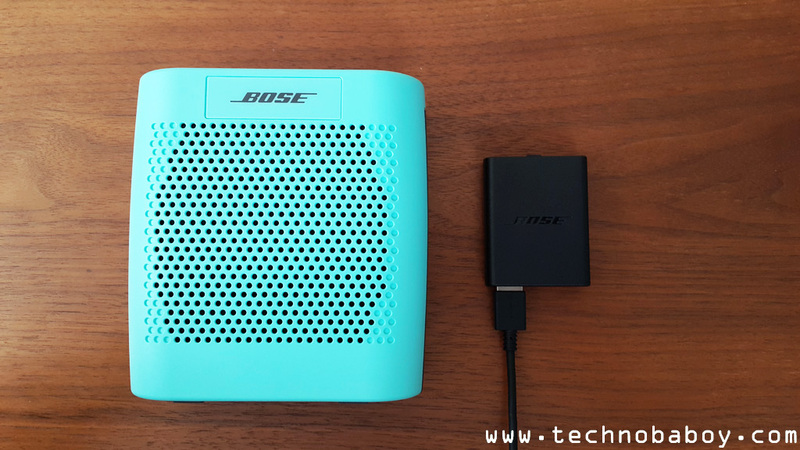 On hand, it feels very solid and has that great build quality that Bose is known for. At the sides runs a rubber strip that goes all the way down the bottom to the other side. As soon as you turn on the speaker, you will be greeted by a pleasant audible cue, a femal voice telling you the status of the device. It’s a nice touch that I enjoy. It gives the product that premium experience lacking in most other brands. Like most Bluetooth speakers, connecting to the SoundLink Colour is fast and easy. Just press and hold the Bluetooth button on the speaker and go through the connection process on your phone. As expected, the sound quality of the SoundLink Color is very good for speakers of this class and relatively small size. This is quite becoming a theme whenever I review Bose’s portable speakers. The speaker definitely has more power and loudness than its size suggests. While it doesn’t match up against the more expensive SoundLink Mini, audio is crisp, deep and warm. Bass is substantial and the treble is good without distortion or sounding dark. As for its battery life, the SoundLink Color lasts up to 8 hours. It certainly seems that way during testing, so I doubt you’ll have trouble running out of juice when traveling. If you’re looking for something portable and colorful from Bose, then the SoundLink Color maybe the one you’re looking for. Audio quality is very good. Its loud for its size, has substantial bass, and up to 8 hours of battery life. 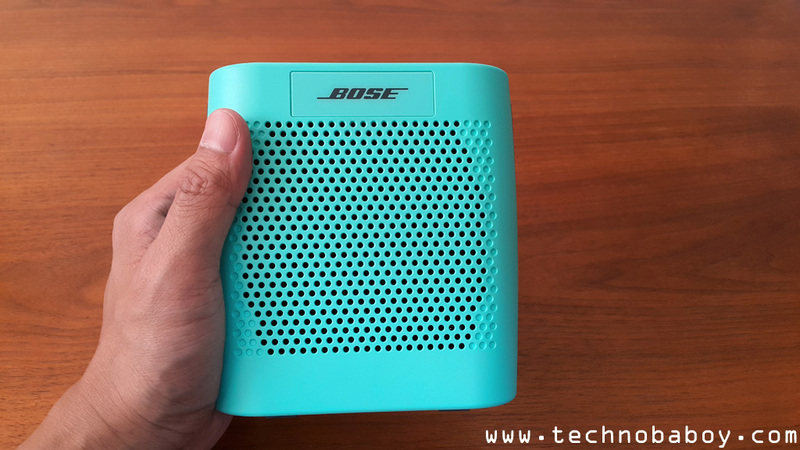 The Bose SoundLink Color retails for Php8,500, and comes in Blue, Mint, Red, Black and White. 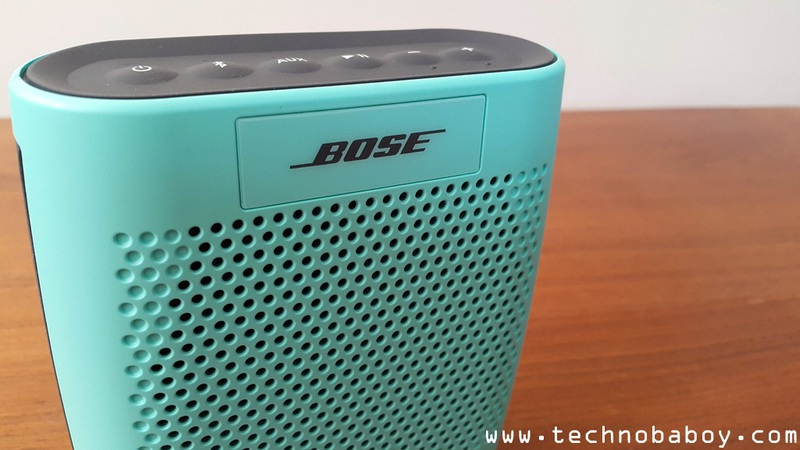 It is exclusively available in Bose retail stores in Metro Manila.